Long ago twelve monsters ruled over the human world these creatures held monumental power and were soon worshiped by the humans, in exchange for their praise these creatures bestowed powers to the human. 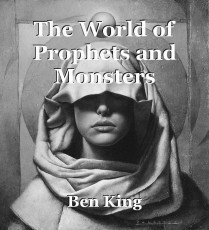 Among these humans the Prophets who studied directly from under the monsters gained the most power, next in line were the Priests who studied under the Prophets, and finally the most removed were the Missionaries who made up the largest part of the monster's armies. Since the arrival of the first twelve a thirteenth has appeared and was dubbed Zareal the deity of the blade. It has a body of a fox with eight blade like tails and two mouths with teeth that gleam like silver. he has claimed a small piece of land and has employed 10 prophets, 50 priests, and 245 missionaries. though, Zareal’s army is small many of the other monsters fear him and his growing army. This is the land of the thirteen monsters who wish to conquer the world. I think your dialogue is interesting and the names seem cool. It's pretty interesting how they're monsters. 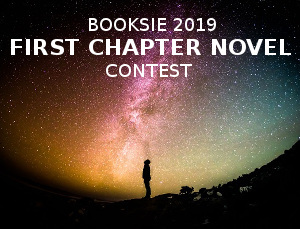 I think this is your first chapter, so if we're meeting the characters for the first time it might be worth writing more about them. Like some distinctive characteristics and a little about what they look like so that the reader can start to build a picture of them in their head. It also wouldn't hurt to write more about the setting the first scene takes place in too. I think some more descriptions could really improve your story. Good luck! Thank you for the review. I really appreciate the insight. I want to clarify as for the characters appearances though, my intention was for the reader to determine what they look like. I intend to establish their looks more in the next installment.